Day two of 888poker’s fall online poker super series XL Eclipse offered a pair of twin tournaments and $40,000 in guaranteed prize pools. Friday’s action may have been limited, but even with only two events on the schedule, the players flocked to the tournaments and helped both tournaments exceed their posted guarantees. PocketFiver ‘alexos888’ took home the largest payday of the day with his victory in Event #4: $20,000 Twins Royal. Though both tournaments were identical in every way in terms of buy-in and structure, the first of the two events brought in a few extra runners pushing the prize pool to $27,950. ‘alexos888’ outlasted the 401 runners earning himself the $5,363.67 first place prize. While this is ‘alexos888’s first XL Eclipse title of 2018, it certainly isn’t his first victory in such a series. Last year at this time, he earned two titles during the 2017 XL Eclipse Series. Back then, he was just $10,000 shy of surpassing $1 million in lifetime earnings. It’s one year later and the Montreal resident is now $10,000 over $1.3 million. It would only make sense that the second biggest winner of the day was the first place finisher in Event #5: $20,000 Twins Flush. Malta’s ‘okokok1893’ outlasted the 381 players that entered the tournaments en route to a $5,095.01 cash. 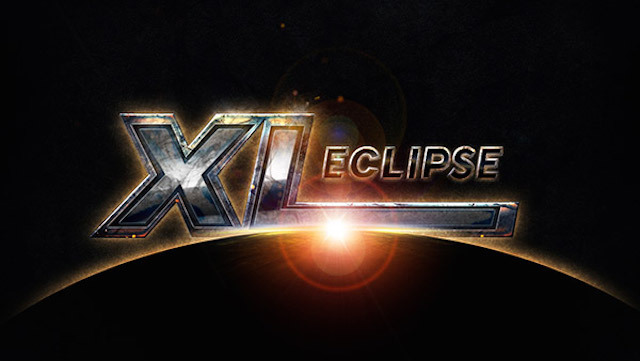 Over the course of XL Eclipse, 888poker is giving away bonuses for anyone who is able to win multiple titles over the course of the 34 event series. Players who win two titles, earn a $1,000 bonus. Win three and they’ll make it $10,000. Four will get you six-figures, $100,000. Should a player get hot enough to take down five of the 34 – 888poker will make them a millionaire. In order to even be in contention for the bonuses, a player has to have what it takes to make multiple final tables. In the early going, there’s only been one player who has made it to the final nine more than one in the first five events and that’s Germany’s ‘resilience32’. He was the runner-up in Event #1 on Thursday for $13,537 and then on Friday he made his second final table, finishing in fifth place in Event #4 for $1,565.20. While ‘resilience32’ hasn’t yet earned himself a bonus, or even a title, should he (or anyone) reach a final table three times or more they will receive a $600 tournament ticket. Additionally, make the money in eight or more events and receive a $215 tournament ticket. So far, the odds are good for ‘resilience32’ to qualify for one or both bonuses. PocketFives members made their way to the final table of both of Friday’s events. In Event #4, in addition to ‘alexos888’, Russia’s ‘SergeyRusko’ made the final nine. He finished in fourth place for $2,236 which was just enough to put him over $500,000 in lifetime career earnings. The cash was his largest since May 2018. Joining them was Argentina’s ‘Nemesis_25’ who finished in ninth place for $463.97. Ben ‘DoobieFish’ Kett made a deep run in Event #5, falling in fourth place and turning his $55 into $2,124. The score will help him as he attempts to grind out the last $50,000 needed before he hits $1 million in total earnings. Romania’s ’oldgrinder66’ finished in eighth place for $597.37. Perhaps for many longtime grinders this would be considered a small cash, but ‘oldgrinder66’ is actually new to online poker as the score will put him just over $7,000 in lifetime earnings and is the second largest cash in his young career. The series begins to heat up over the weekend as 888poker offers their Crazy 8 branded tournaments. Three tournaments in total with $57,000 in total guarantees. Included is one of the cheapest tournaments on the schedule, Event #7 with a buy-in of only $8.80.